The TRUBLUE XL Auto Belay (19,8m, 65 ft) is the next generation of indoor and outdoor climbing wall auto belays. 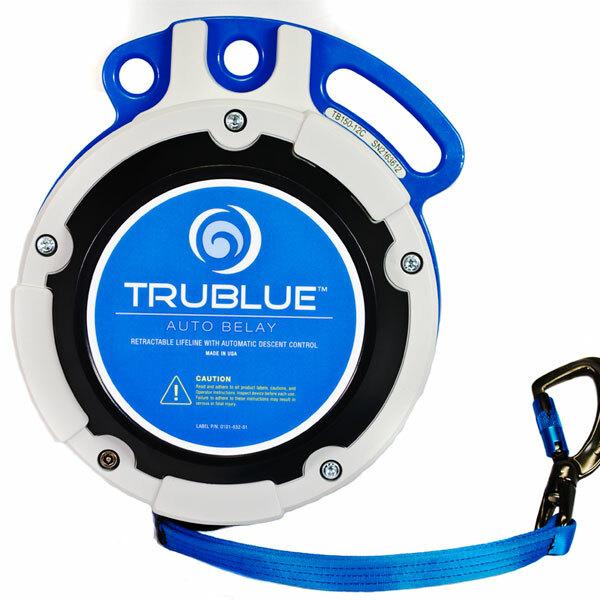 Designed for higher climbing walls, the TRUBLUE XL Auto Belay accommodates heights up to 65 feet. TRUBLUE XL’s self-regulating magnetic braking system is the result of over four years of research, development and testing. Our auto belay is designed for climbers and engineered for safety. Our auto belays are engineered to meet the strictest safety standards of all auto belays. 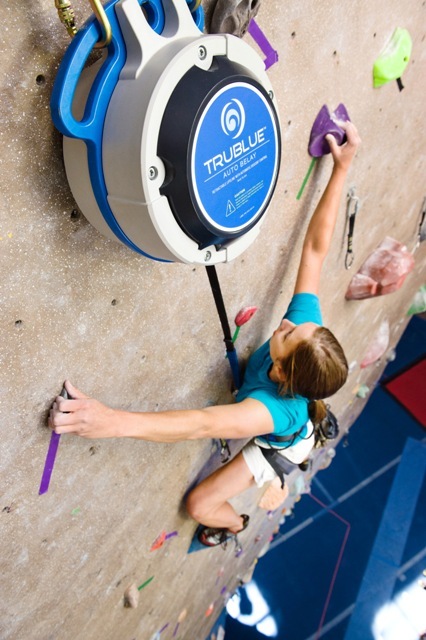 Meets international safety standards: TRUBLUE XL is designed for climbers and engineered for safety. We engineered TRUBLUE XL to meet international safety standards for fall arrest devices. No clutch bearing: The TRUBLUE XL has been engineered to eliminate the need for one-way clutch bearings. This eliminates a key potential point of failure that is present in other auto belay designs, as well as the need to maintain and replace these mechanisms. Maximum descent height of 65 feet (19.8 m): Provides the longest range of all modular systems. 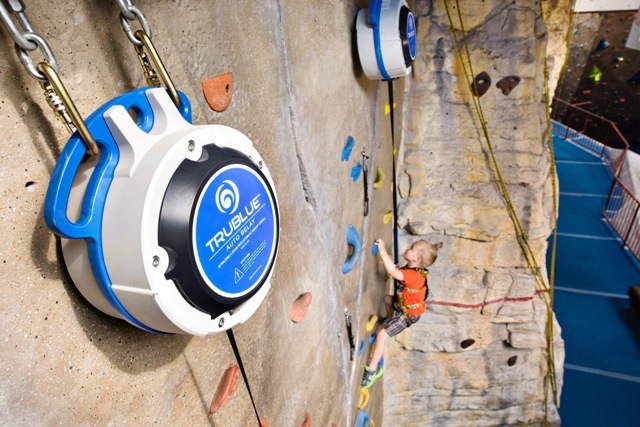 Accommodates a wide range of climber weights: The TRUBLUE XL allows for a weight range of 22 – 330 lbs (10 to 150 kg), making it the ideal auto belay system for facilities with a wide audience of children and adults. Minimal Maintenance: Webbing replacement for the TRUBLUE XL is significantly less expensive than cable replacement for other types of auto belays.